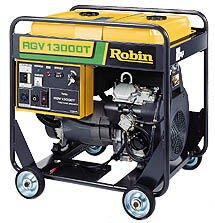 MULTI-DUTY CONSTRUCTION GRADE GENERATOR FOR JOB SITES OR BACK UP POWER SUPPLY WHERE NOISE OR SENSITIVE POWER SUPPLY IS NOT AN ISSUE. NOT RECOMENDED FOR COMPUTERS, ELECTRONICS OR PA/SOUND SYSTEMS WITHOUT SURGE PROTECTION. TWIST LOCK CS-6369 (120/240V 50 AMP. OR 8HRS. RUN TIME AT RATED LOAD. * Please call us for any questions on our generator 10kw subaru gas rentals in Portland OR, Gresham OR, Milwaukee OR, and surrounding metro area.